An exoskeleton is a portable bionic skeleton for the rehabilitation of patients with dysfunctions of the lower limbs (mainly neurological). 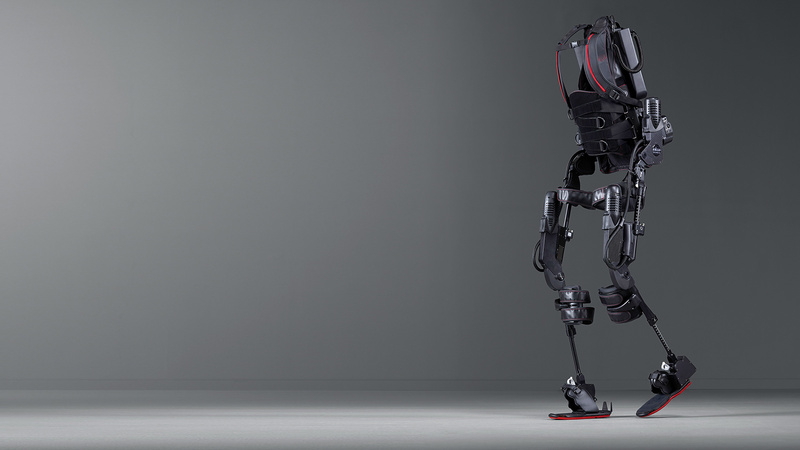 Rehabilitation with the use of exoskeleton is one of the most innovative functional therapies currently used, based on stimulating tissues and systems of the body and therefore the use of the musculoskeletal system connection with other organs of the body and the body as a whole. It is aimed at patients with reduced efficiency of the lower limbs, people with a history of spinal cord injury or dysfunction caused by the nervous system diseases. Depending on the disease a physiotherapist in consultation with a doctor determines the purpose, scope and intensity of therapy. 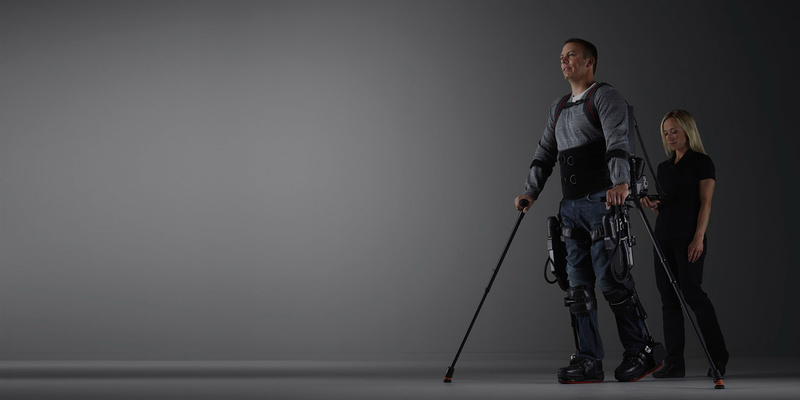 Rehabilitation using the exoskeleton has two main objectives – vertical position and movement of the patient. Exercises with the use of the exoskeleton are always carried out with the participation of the qualified and trained physiotherapist. Why verticalization and movement are so important in rehabilitation? Restoring the verticalization possibility at a patient has a significant impact on all the body systems. Vertical movement means also stronger blood supply to the brain and nervous system, which controls and coordinates the operation of all organs and systems in the body. This is the most natural of all known forms of human movement. What is a session within the exoskeleton? Starting the rehabilitation is preceded by a patient examination conducted by the physician with the aim to disclose possible contraindications. During the session of rehabilitation, the exoskeleton is put on the patient’s clothing and matched by a physiotherapist to the parameters of the patient’s body. After these initial actions the rehabilitation session starts. The range of motion and the amount and type of exercises are tailored to the patient’s condition and assumed goals. I would like to use the therapy what I have to do? We invite you to use the contact form available on our website. In response you will receive information from us regarding the documents you must complete and how to deliver them to us to allow for the qualification for therapy. Do I need to prepare myself especially for therapy? In addition to the collection of appropriate medical documentation required for qualification it is not required to prepare oneself in advance for rehabilitation activities. It is good to bring comfortable clothing, preferably cotton overalls and comfortable shoes for the same exercises. The exoskeleton is put on the patient’s clothing. How much time does a single session of rehabilitation take? The first meeting takes about two hours, during which the patient will be examined and the device is adapted to its physical parameters. The subsequent sessions last for 1 h.
I consent to the processing of my personal data by the Uzdrowisko Konstancin-Zdrój S.A. headquartered in Konstancin-Jeziorna at Wierzejewskiego 15, in accordance with the Act on the protection of personal data of August 29, 1997 (i.e., Journal of Law of 2002 No. 101, item. 926, as amended). Data will be processed for direct marketing of its own products and services and the transfer of commercial information by e-mail. Every person has the right to inspect their data and the possibility to correct them. Data submission is voluntary.